Last Friday, November 8, I'd been planning to take off work a couple of hours early to attend an event that started at 5:00 p.m. When I was also able to schedule an Atlanta Beltline Bus Tour, I asked for the whole day off. What a great day that turned out to be! I'd tried to get on this tour a long, long time ago, and had resigned myself that it would be even a lot longer before I could get a tour slot...this is a wonderfully popular tour. I'm thrilled that there's so much interest and that the Beltline folks are teaching citizens what's going on and what to expect. So, when I just by chance found an open slot on that same Friday, I immediately reserved it and asked for the whole day off. Once on the tour, I quickly realized that it was indeed a "bus" tour and that there would be minimal stops. I also realized rather quickly that I would learn more about the Atlanta Beltline on this tour than I had even hoped. Our tour guide, Shantā, was brilliant—again, exceeding my expectations, she has extensive knowledgeable of Atlanta, its neighborhoods, and all the wonderful hope that the Atlanta Beltline could bring the 45-48 communities along the 22-mile project. 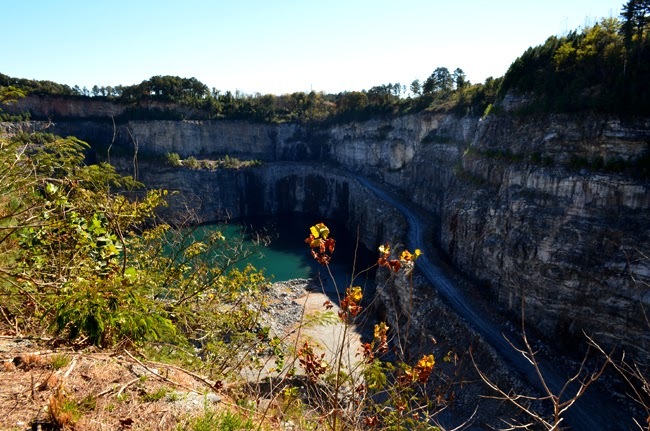 One of the few stops on the Bus Tour was at Bellwood Quarry, which will be the future site of Westside Reservoir and Park, destined to become Atlanta's largest park at 320 acres. It's also a site used for filming of The Walking Dead and Hunger Games. The volume of the Reservoir will required four years to pump it full of water, which tells that it'll be a few years yet before the Park is open to the public. 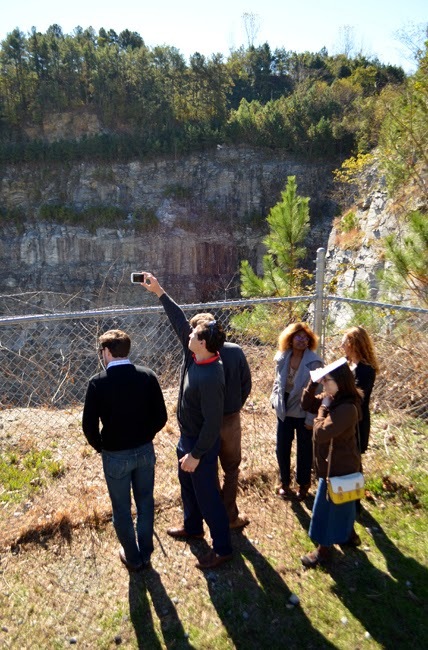 In the meantime, this tour is the only public access to the Reservoir...a super cool opportunity to see a future major destination for Atlantans and tourists alike. 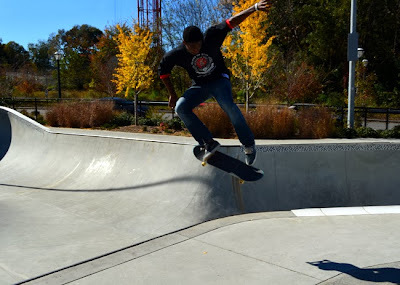 One of the pauses (bus stops, participants stay on) on the Bus Tour was at the Historic Fourth Ward Park, which I'd visited before, except for the skateboard park, one of the three sections of this park and the one that is most removed. 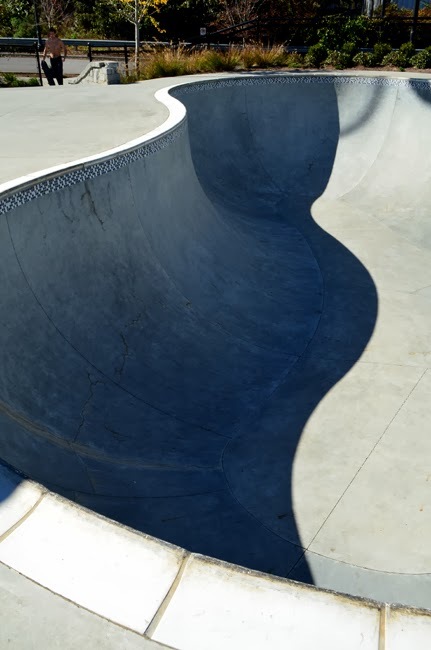 We were told that Tony Hawk himself donated $1,000,000 to help build the skateboard park and he himself was present—and skated—for the opening ceremony. How cool is that?! Even in the middle of the morning on a Friday, the skateboard park was busy. And off in the distance I spied Iron Column, an Art on the Atlanta Beltline installation I'd seen in the news only a few days prior. I came back here after the three-hour bus tour was done. One of the great beauties of the Atlanta Beltline project, now it its ninth year of a projected 20-25 years to complete the entirety of the Beltline's scope, is the plethora of opportunities afforded so many communities and citizens by such a project. I can't express just how much you'll learn on this tour. If you have any chance of recanting what you learn, I highly recommend note taking. Unless, of course, you have an eidetic memory...and I do not. 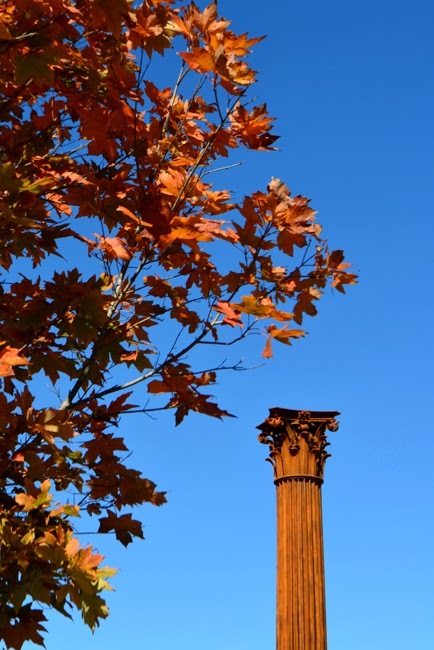 And there are other tours, as well as a self-guided tour of the now-scheduled-in-the-fall Art on the Atlanta Beltline. Of course, if you'd like to explore the entire Beltline, you can walk the 22-mile expanse in a mere 10 hours, during which you'd take in the extensiveness of the art installation. My next Beltline exploration will be the Art on the Atlanta Beltline. 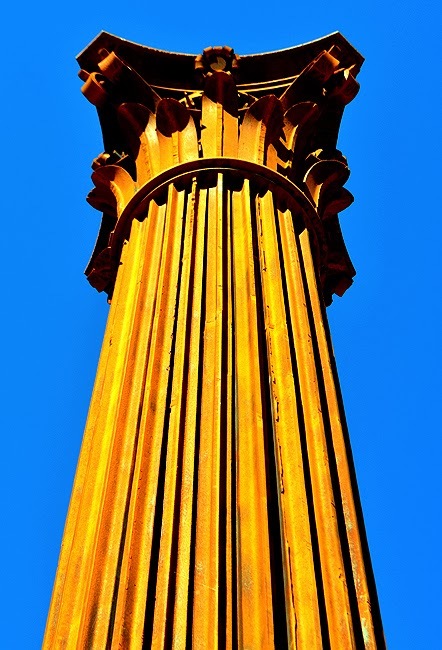 As you already know, I'm an art lover, and I'd already seen a few pieces of the Beltline installation, but Iron Column is the piece that makes me want to see the entire exhibition. And check this out, Iron Column (2013) by Phil Proctor is constructed of iron railroad track—how befitting that a sculpture is so telling of the coming of a new rail system. Of all the pieces I've seen on the Beltline thus far, this is my favorite! Well, I wish I could share with you everything I learned on the Atlanta Beltline Bus Tour, but I don't have a publisher lined up (there's that much to share! ), and I'm sure Shantā could have shared much, much more if given the time. Go with questions...she's a Beltline encyclopedia and she has a great sense of humor. Okay, that's all I'm going to tell you right now, but know that there's so much more to learn and glean, and I especially recommend you go on this tour if you happen to live in one of the more than 40 communities the Atlanta Beltline will directly benefit.